Most mornings I make Coffee Elevated, but lately, my body has been craving good ole’ matcha and naturally, I found myself using similar ingredients in the Coffee Elevated to make my traditional Matcha Tea Latte (which has been wildly popular since I shared a couple years ago!). Meet, the Matcha Tea Latte Elevated, loaded with healthy fats and an optional protein boost if you’re making this a pre-workout or snack. First things first, if you’re new to matcha and want the 411 on how it’s grown, how to store and to start with a more traditional matcha tea recipe, then read up here (then come back here to try this!). Just like the Coffee Elevated, I like using MCT oil for a boost of healthy fats (specifically medium chain triglycerides that are utilized quicker for energy), the fat in both the MCT oil and the coconut butter make this latte thick and creamy without using dairy or heavy cream. Not only does the fat emulsify and make this latte luxurious, but it also tastes delicious and slightly sweet from the coconut butter without any added sugar or sweetener – unless you choose to add honey last minute. If you’ve never tried making a matcha tea latte, it’s as easy as putting all the ingredients in a blender and giving it a whirl for 45 seconds to a minute and you’re done! I enjoy this most in the morning or during times when my body is feeling stressed out, whether from physical stress (i.e. hard sessions in the gym) if I’m feeling tired more than usual, if it’s that time of the month, or if I’m mentally stressed. Coffee (and the caffeine found in coffee) and I aren’t BFF’s all the time and I can get easily fatigued and a migraine may pop up! I’m very intentional and aware of giving my body what it needs and I go through some phases without coffee and replace it with Matcha. Anyone else? If you’re feeling worn out, stressed, or sick, try this Matcha Tea Latte Elevated instead of your morning cup of coffee and see how you feel. Yes, matcha still has caffeine, but the effects are much different. If you want to read more about coffee, check it out here with more ideas on how to “get off the coff”. Both the MCT oil and coconut butter are loaded with healthy fats. Remember, fats are good! 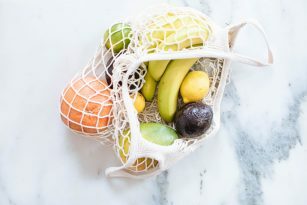 Fats keep us full, they help our bodies absorb key nutrients, they taste delicious, and they play a vital role in hormone production and keeping our cells healthy. If you don’t have MCT oil, you can use coconut oil since that’s a great whole food source that contains medium chain triglycerides in it, but to get the full effect of MCT’s I recommend stocking your pantry with an MCT oil. A recommendation and side note with MCT oil, since this is an oil, start small. Start using 2 teaspoons at a time and work yourself up to 1 tablespoon to avoid any tummy troubles. Matcha tea is very high in antioxidants, amino acids, and chlorophyll, which is responsible for its beautiful bright green color. Of the amino acids contained in matcha tea, L-theanine is the most prevalent and is known to have a relaxing effect on the mind and body, hence why traditionally monks would sip matcha tea to help ease their mind for meditation. Plus the subtle caffeine content helps with focus, which could be because theanine increases serotonin, dopamine, GABA, and glycine levels in the brain. If you want to make this more of a snack, I recommend adding protein. This can come from a vanilla protein powder or some of my clients LOVE adding in a neutral protein like collagen protein. Choose whatever you like and blend well. 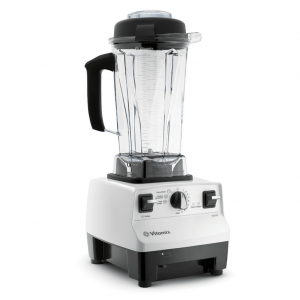 In a high-speed blender, blend to combine all ingredients for 45 seconds to 1 minute or until frothy. You may add a sweetener of your choice or protein powder – adjust liquid as needed if you had protein powder. high-speed blender, coconut butter, MCT oil, vanilla protein powder or collagen protein mentioned, matcha green tea powder, on the go mug, and stay at home mug!